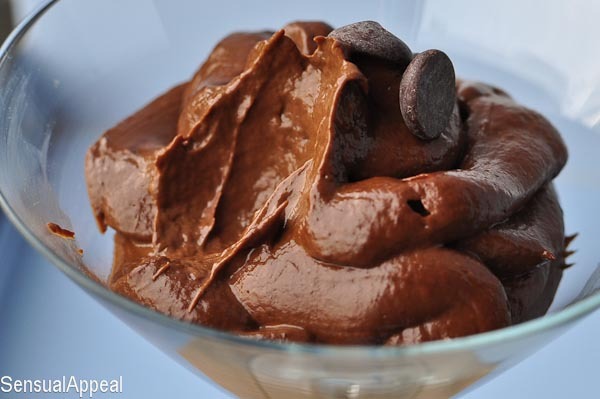 This sneaky vegan dessert recipe is a must-have for anyone, vegan or not! 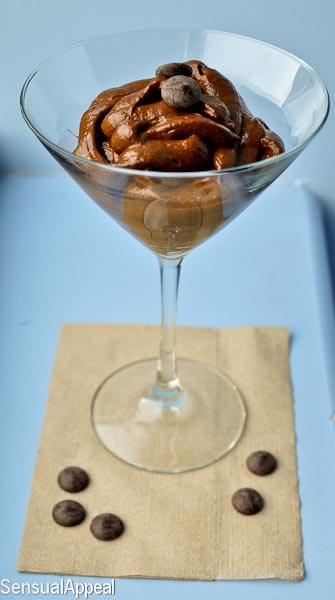 This Chocolate Avocado Banana Pudding is wonderfully healthy but don’t let the ingredients fool you – it is so delicious and decadent, you won’t even know you’re eating a guilt-free treat! I have some more things to add to my to-buy list. One of those is a stand mixer. My parents have one and it’s so convenient. It doesn’t do as good of a job at mixing ingredients together as a hand mixer but it’s just so much easier. I am able to do whatever I need to do while the batter is getting all mixed and beaten. Another thing is a food processor. I thought I could use my roommate’s magic bullet but it really doesn’t do as well of a job at mixing and chopping as a food processor probably would. I was supposed to use a food processor for this pudding/mousse. I don’t have one. I started with the magic bullet and that was a total fail, it would not get mixed in at all. It would get pretty mixed by the blades but that’s about it – not good enough. So I stuck the mixture in a blender and used that. It wasn’t bad but I had to hand mix and stir with a spoon quite a bit also. The mixture probably would have turned out much thicker if I used a food processor, but beggars can’t be choosers. I will work with what I can get. This pudding had a pretty thick consistency and texture just like a pudding. I thought it would come out more like a mousse but I’d consider it more pudding-like. Although it might still get thicker in the fridge. I only tried it right as it was done, not out of the fridge. I will update once I let it cool for an hour or two. All of the flavors are pretty apparent, especially the banana. I used a ripe banana and a ripe avocado. It was actually my first time ever even dealing with an avocado! It was pretty cool. Thankfully, my roommate told me how to get the meat out. I feel like such a newbie. Oh wait, I guess I am a newbie haha. I also am paying more attention to post layouts of other blogs and seeing how people post their food recipes. I’m gonna try to adapt to that and do posts with a layout similar to those. 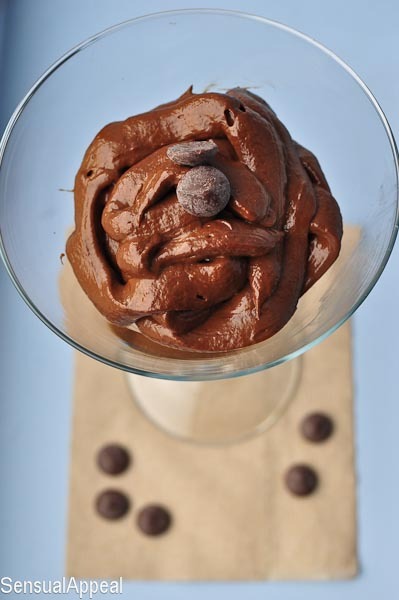 In a food processor, combine the avocado and banana and blend until smooth. Add the other ingredients and blend again. Put in a glass, refrigerate, and serve. Can be kept in the refrigerator in a sealed container for 2-3 days. This yields one small pudding. The size is barely enough to fill a glass. It wouldn’t fit in a regular glass so I had to put it in a martini glass. Plus it looks nice with a martini glass. I feel like anything put in a martini glass will automatically look more fancy and pretty. Haha, but that’s just me. I used this vegan dessert recipe as topping for the Surprise Cookies – which are a decadent treat of cookies that taste like brownies and have a marshmallow surprise inside. Covered with this fabulous vegan pudding, they taste like heaven! Try them out! What are some sneaky ingredients you’ve used in your recipes? 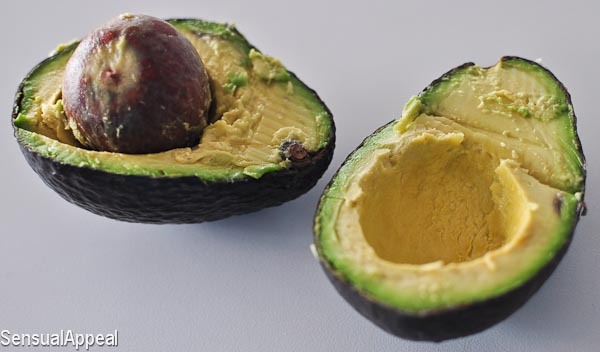 Have you ever used avocado in a dessert? Links welcome. Looks good! 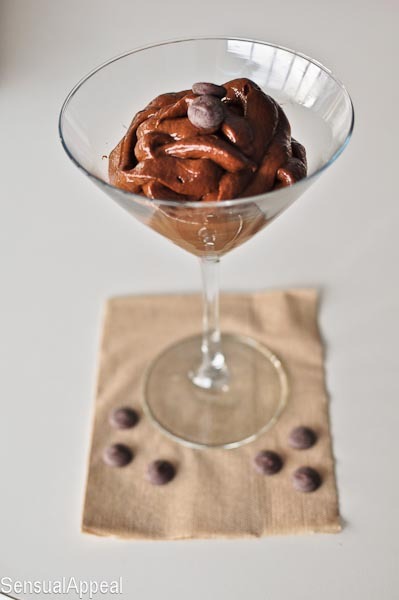 I made this the other night using a blender and melted dark chocolate instead cocoa powder. I also stuck it in the fridge for a bit. It was yummy! Ohh, melted chocolate, huh? That sounds interesting! I’m totally craving so much chocolate today so this was perfect. Although I melted some chocolate chips in the microwave and poured it on top of it and then ate it. Yeah, chocoholic. That looks really amazing – it’s fantastic what one can do with such unusual ingredients (at last, in this context). Found you on Ricki’s site today. This pudding looks super yum! I always appreciate other gluten, dairy and sugar free recipes. Lovely site you have here. And you are just too beautiful my dear!! I make a similar pudding with avocado and pumpkin (in a coconut milk base). So awesome how chocolate hides the other flavors! Maybe we will see you next week! 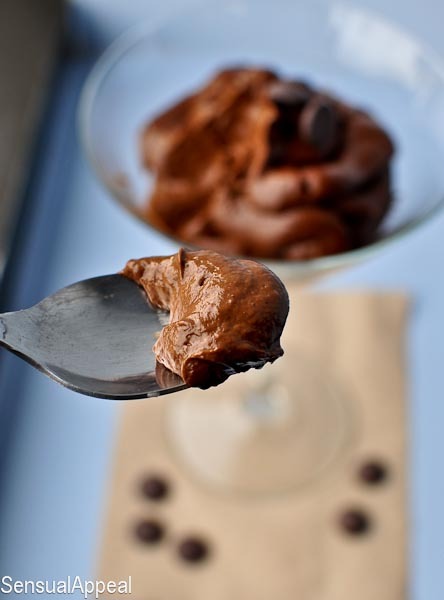 I make a similar pudding/fudgescicle…truly to die for! No one ever guesses the avocado is in there. Thanks for sharing! mmmmmmmmm I love this…looks absolutely incredible! good to know about the handmixer vs. magic bullet vs. stand mixer…. I only have a magic bullet right now and I am in dire need of something else! I am aware of this. I mention in most of my recipes that I personally am not vegan and you can use another protein powder in its place. That’s why I name the recipe vegan because it can be vegan easily.